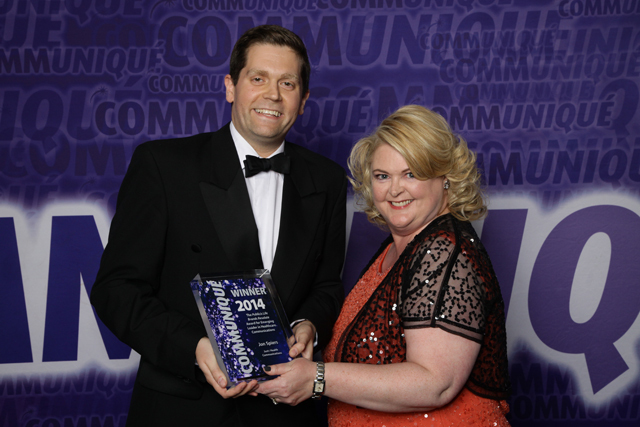 Two rising talents in the healthcare communications field were among the winners at the Communiqué Awards 2014. Just:: Health Communications' Jon Spiers won The Publicis Life Brands Resolute Award for Emerging Leader in Healthcare Communications and Ben Nunn of MHP Health received The Star Award for the Rising Star in Healthcare Communications. Spiers has served as head of public affairs at Just:: Health since 2012 following an extensive career in the charity sector. This included six years at Cancer Research UK where he most recently served as head of public affairs and campaigning. Judges said that Spiers was “amazing” with a “lovely sense of humility”. Meanwhile Lexington Health's Jessica Fine was highly commended in the Emerging Leader category, with the judges concluding that “when it comes to strategic agency thinking she is substance over style”. Nunn, winner of The Star Award for the Rising Star in Healthcare Communications, has been with MHP Health since 2010, joining from a research role at the House of Commons. In that time he has become senior account manager and a respected consultant and ambassador for his industry. Judges commented that Ben “has a lovely style and tone about him and showed very rounded, and purposeful, thinking, with achievements to date that are seriously impressive”. They also singled out his efforts in Alzheimer's disease, which were “well considered, well executed and extremely timely”. The category also saw JMC Partners' Andrew Wilkinson awarded a high commendation, thanks to his passion for comms and massive potential. “How very exciting that our industry is attracting people of his calibre,” the judges said. The Communiqué Awards are run by PMLiVE publishers PMGroup and they recognise and commend excellence and best practice in local, European and international healthcare communications. 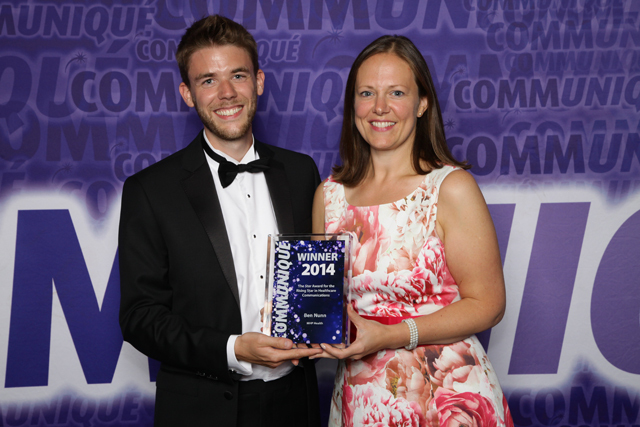 The awards ceremony for 2014 took place at London's Grosvenor House Hotel, Park Lane, on July 3, 2014.